With Common Core it seems that close reading has become a way to help students tackle some of those passages and answer some tough questions. Even though Virginia has not adopted Common Core, we do work on close reading. As a matter of fact, the students benefit greatly from this strategy. I use it daily with my own students as we prepare for the Standards of Learning tests that are right around the corner. A few weeks ago, our school counselor and I were talking about the upcoming math tests and the increased rigor. The curriculum calls for more multi-step problems and critical thinking skills. 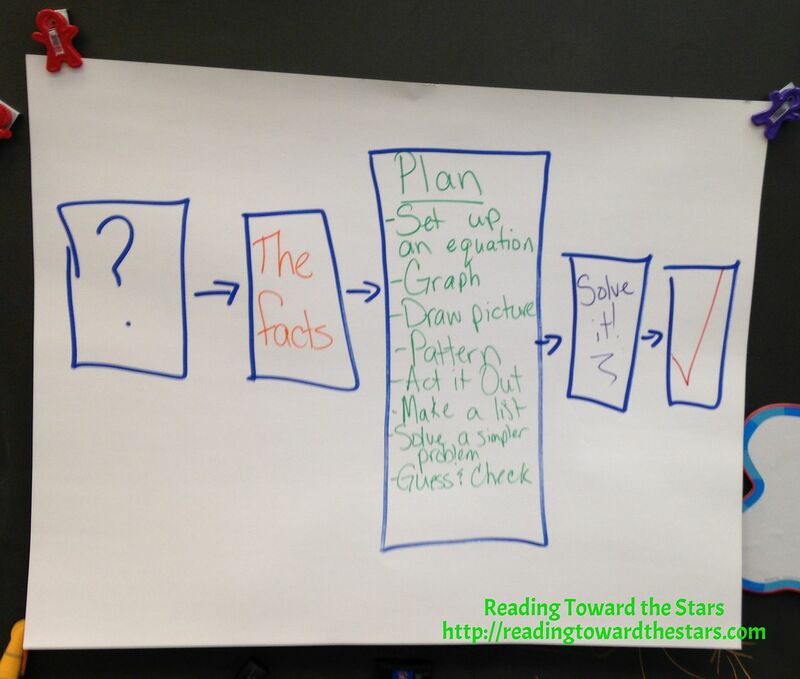 As we talked about this, we realized we needed a plan ~ close reading with math! So, every Wednesday I work on math skills with my fourth graders. As a reading specialist, we work on reading various word problems closely to find the answers. Here is a typical Wednesday for me. Our first Wednesday we made a plan for reading word problems. Since we use Thinking Maps in our school, we made a flow map for our plan. After making the plan, we began our first word problem and used the steps in the plan to help us out. First we read the problem and found the question or questions, highlighted in blue. We talked about what the questions were asking and what we were looking for. Then we found the facts, highlighted in pink. After finding the facts, we talked some more about how those facts will help us find the answers to the questions. Using those facts, we then decided what we needed to do to solve the problem. For this particular problem we set up an equation. After solving the first equation, we decided we had to solve another equation to finish solving the problem. Of course, they all thought they were finished with the problem, but they were not! We had to check it to make sure that we were correct. The most important aspect of this entire process was that we were talking and discussing what we were going to do. I actually did very little talking, but I let the students tell me what they knew and what they would do. What amazed me the most was the fact that the student who struggles the most knew exactly what to do! I was so excited to hear that from her! 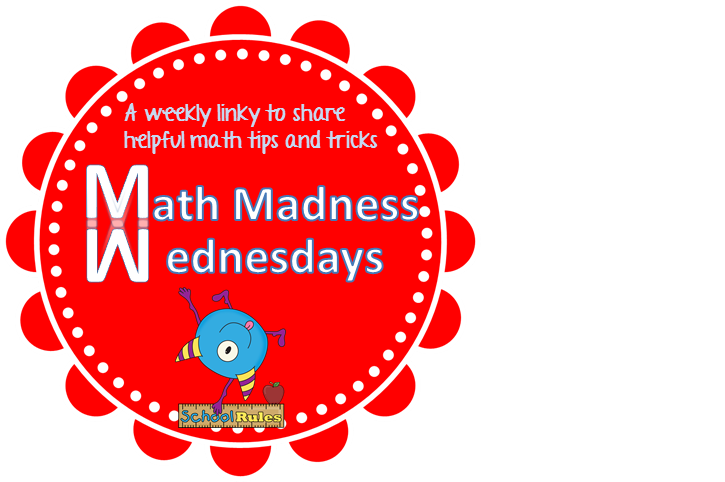 At first, I really did not want to do any math at all, but I actually look forward to Wednesdays with the fourth graders. The banter and discussions over the word problems make me feel better about their thought processes. I just hope that our hard work pays off in the end! 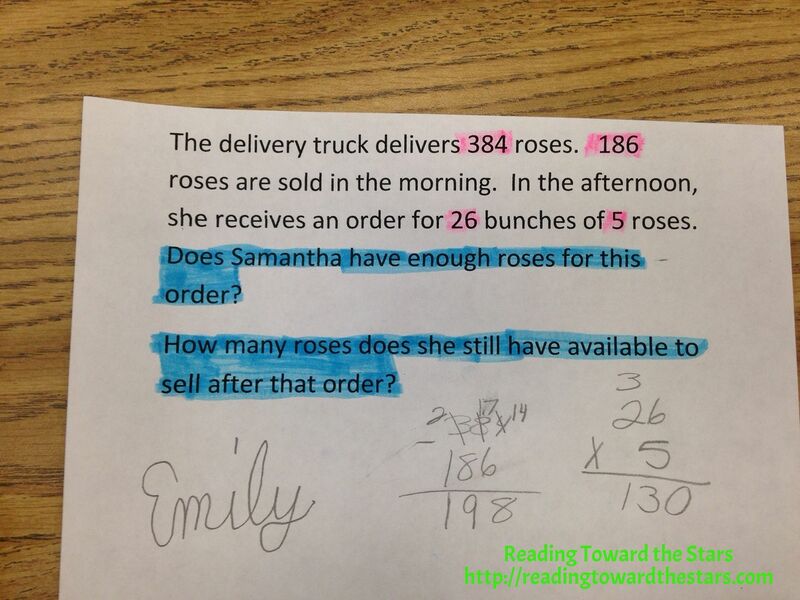 How do you help your students with those challenging math word problems? I LOVE the fact that you are teaching math and reading together! That is going to benefit your kids so much! Thanks for linking up.